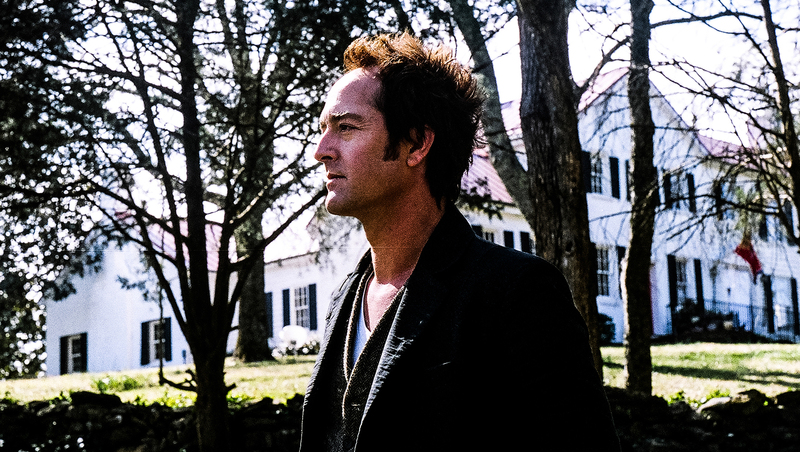 Emerson Hart poured his heart into his sophomore solo album, "Beauty in Disrepair," which came out in April -- drawing on the dissolution of his marriage and his journey to find love again. Hart says his life experiences come through "185 percent" on this second solo record, the follow-up to his 2007 solo debut, "Cigarettes and Gasoline." Through it all, the songwriting process was cathartic. "I'm a big proponent of therapy, which is great. But music is the biggest healer," Hart told CBS News. "It would help me to work things out in my brain that I might not be able to say to anyone else until I actually put it in music." A video for one of those personal songs, "Hurricane," is making its debut on CBSNews.com. Check it out below -- and see what Hart has to say about both the track and video treatment, which was designed and animated by Amelia Garretson-Persans. On '"Hurricane": "It's similar to [lead single] "The Best That I Can Give," in the way that it's about a rebirth of a relationship. I think that song actually came first -- it was one of the first songs I wrote for the record. The lyric for me when I was putting it down was about how I needed something so drastic to happen in order to get a rebirth -- to regenerate and to shake off a lot of the bad stuff from my past...One of the lyrics in the song is: 'Hold on 'til it's past / 'Cause sometimes a storm's a second chance' -- and that's really what that song is about. It's about getting that second chance...It came in about four hours. It kind of got pieced together over the afternoon." On stop-animation video treatment: "I love stop-animation that's cut out. I think it looks very dramatic and old. And I'm obsessed with that show 'Turn' [on AMC] and the intro is the same kind of cut-out, black stop-animation, which is really beautiful. I just [used] images that I love." On "Beauty in Disrepair": "I really look at records as being recordings in time and I can't really rush work. So I kind of had to live some stuff and write about it and put it out. It's a record I'm really proud of."